Hollywood weddings might not exactly be one of a kind, but keep reading for the most unique gemstone celebrity engagement rings. First of all, the Academy Award winning actress received an emerald and diamond ring, placed in a gold setting. Emeralds are known in gem therapy to improve focus and communication skills. Professionally, wearing an emerald may boost creativity and artistic talents. Elizabeth Hurley and Penelope Cruz chose sapphires. The striking blue colored gemstone represents wealth, success and strength. It is also known to soothe irritated skin and promote anti aging. Penelope Cruz flaunted a three carat sapphire surrounded by diamonds. A $30,000 engagement ring gifted by actor Javier Bardem. Elizabeth said yes to a gigantic square sapphire with two diamonds and an even more shocking value, estimated in $47,000! Footballer fiancé, Eric Johnson popped the question with a breathtaking ruby ring with two diamonds on each side. Furthermore, Ruby is Jessica Simpson’s birthstone. And it is also associated with love, passion and harmony. Three benefits any long lasting relationship needs. 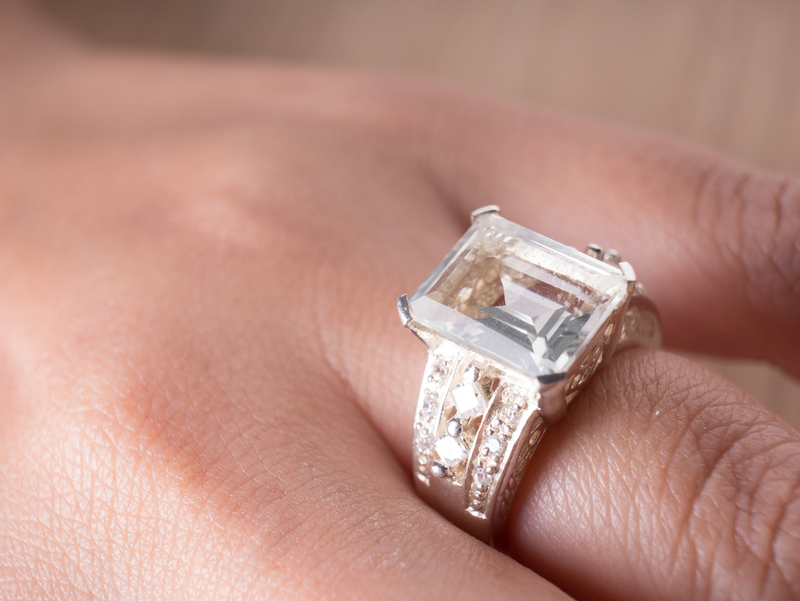 The exquisite engagement ring is valued in a whooping $100,000, according to Glamour Magazine. It’s not every day that you see a 10-carat yellow diamond engagement ring. It is a rare and exquisite stone, even for celebrities. Seems like Heidi enjoys it as she was spotted out flaunting this beautiful rock, even after her marriage with Seal was officially over. Most of all, each diamond symbolizes love, commitment, perfection and illumination. That’s the main reason why it is so popular as an engagement ring. Never fails to put a smile on the bride to be. If you enjoyed learning about the most unique gemstone celebrity engagement rings, continue reading he Surprising Skincare Benefits of Gems. How Can I Treat The 4 Mayor Types of Wrinkles?